The winner of 2018/19’s Best Rural Manufacturing Business Award is Fen Farm Dairy! This worthy-winner impressed the judges with their unique and innovative business, as well as their trailblazing attitude to minimising their environmental impact. They praised their marketing, as well as taking issues up to government level to promote raw milk and create a bigger market for everyone. The Crickmore family have farmed the land at Fen Farm for three generations, and six years ago they diversified their dairy farm into raw milk sales, cheese and butter making. 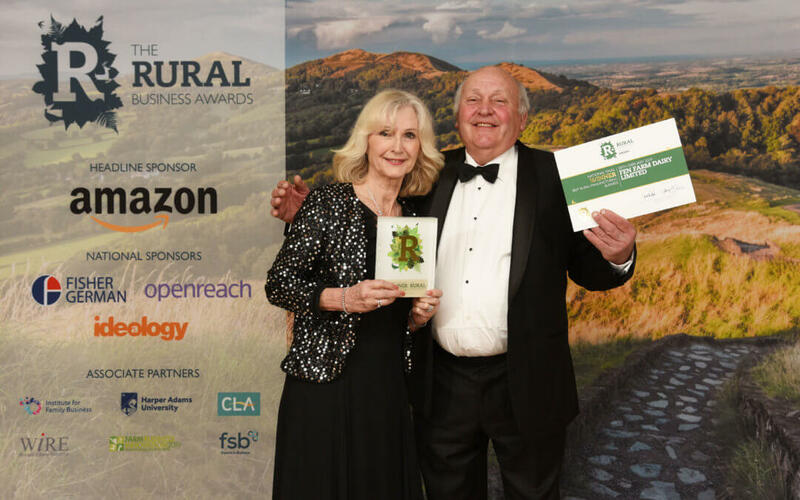 The business is run by husband-and-wife team Jonny and Dulcie Crickmore, Jonny is the propelling force behind Fen Farm, and has been working on the farm since he was just four years old, while Dulcie handles the marketing and business development side of things. Fen Farm Dairy make the UK’s only raw brie-style cheese and raw cultured butter. Raw or unpasteurised milk hasn’t been heat-treated and homogenised the way that most shop bought milk has, which means that their milk retains much of its natural flavour and enzymes, and has a rich layer of cream. Fen Farm are also the UK reps for DF Italia vending machines, which enables customers to buy raw milk directly from the farm, as fresh as possible and with almost no food miles. Since setting up the vending machine business, they have helped 50 other UK dairy farms to diversify into farm-gate milk sales. 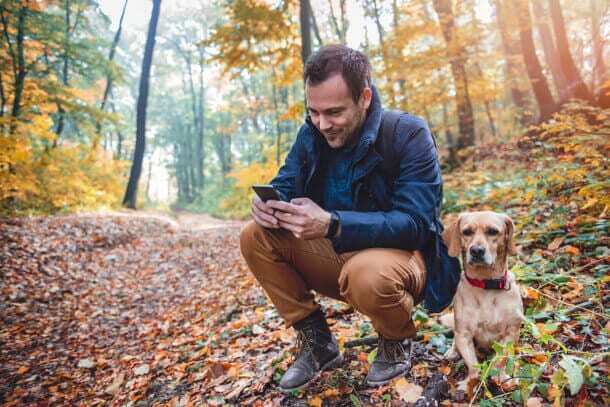 By doing so, they have helped to empower other struggling rural business, giving them the tools to take back control of the prices of their products. 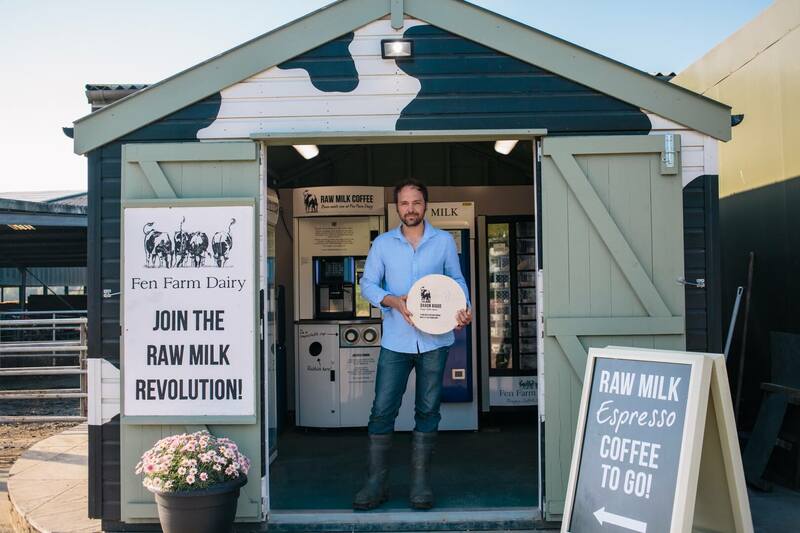 Their own raw milk vending machine is housed in a cow print shed on the farm, which also holds a raw milk coffee machine in collaboration with Suffolk-based coffee company, Fire Station Coffee Roasters. The milk Fen Farm Dairy uses to make their delicious cheeses and butters comes from their herd of Montbeliarde and Friesian Cows. Montbeliarde cows originate from France and their protein-rich milk, perfect for cheesemaking, is renowned for making cheeses like Emmental and Gruyere. The Crickmores’ herd were hand-picked by Jonny from small farms in the French Jura and are thriving in the Suffolk climate, and are the perfect breed for Fen Farm’s aim of producing lower yields but better quality milk. The cows graze for as long as possible year round, but spend the winter months inside. Fen Farm try to feed them as much of a homegrown diet as possible, lessening the environmental impact of the herd, as it removes the need to ship lorry-loads of feedstuffs in from around the world. However, their cows’ well-being will always come first. Fen Farm Dairy are incredibly committed to reducing their environmental impact as much as possible. The farm runs mostly on solar power (except for on very grey days! ), and they’ve harnessed the natural heat extracted from the fresh warm cows’ milk as it goes through the cooling system and they use it to help heat the water used for washing down the milking parlour. All this is on top of their attempts to reduce fuel consumption and food miles. Fen Farm Dairy’s butter, Bungay Raw Butter, is a celebration of Suffolk’s heritage. Around 300 years ago Suffolk was regarded the “Butter capital” of England, and their raw butter is made by hand in the traditional manner, by souring the cream using a cocktail of lactic bacteria, before churning and hand-paddling with traditional scotch ‘butter hands’ made from wood. During the course of Fen Farm’s journey into making unpasteurised dairy products, Jonny and Dulcie have realised that the Food Standards Agency offers little in the way of proper regulation, advice or hygiene support for raw drinking milk-producers, leaving farmers with nowhere to turn for advice. As a result of this Fen Farm Dairy are currently working alongside the government’s Food Standards Agency and the NFU to set up a Raw Milk Producers Group. This group is open to all raw milk producers (farming any species) UK wide and will have the purpose of providing support to producers, by means of a nationally recognised Code of Best Practice, micro testing guidelines, networking opportunities, producer forums, workshops and hygiene support. Consuming raw milk does carry some risks, please read this advice from the Food Standards Agency before choosing to drink it.